BEWARE OF A CON CON--A SURE WAY TO KISS OUR GOD-GIVEN CONSTITUTIONAL LIBERTIES GOODBYE! Phyllis Schlafly’s 1984 warning about the dangers of a called Constitutional Convention for any reason is as valid, if not more so, today as it was in 1984. 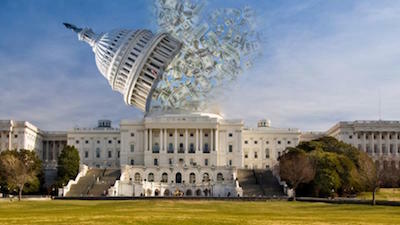 The problem today is that many constitutional conservatives, out of desperation with what is happening in Washington, DC, are advocating a ConCon. Our state Republican Party platform is opposed to a ConCon and our elected statewide officials should stand opposed to a ConCon. The 1979 call for a ConCon should be rescinded! Please read this Phyllis Schlafly Report and forget the idea of amending the constitution. Go to Phyllis’ website for good, sound, information on all issues of concern to conservatives. Russian Roulette is a deadly game of risk. 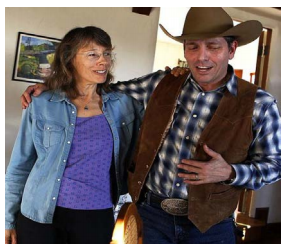 You put one bullet in a revolver, leaving five empty clambers, spin it, aim it at your head, and fire. The odds are very favorable; you have five chances out of six of surviving, and only one chance out of six of being dead. Most people think that it is irrational to play such a risky game with your own life, Society calls it murder if you play it with anyone else's life. Many of us feel it would be just as irrational to play such a risky game with the U.S. Constitution — our most precious document and the fountainhead of our unparalleled American freedom, independence, and prosperity. A call for a Federal Constitutional Convention (popularly called Con Con) means playing Russian Roulette with our Constitution. The chances are good, perhaps very good, that our Constitution would survive. But it isn't rational to take such a risk with something so important as our Constitution. Thirty-two state legislatures have passed resolutions calling for a Constitutional Convention to consider a Balanced Budget Amendment to the U.S. Constitution. A Balanced Budget Amendment is a desirable goal. But a good end does not justify a bad means, and Con Con would be a very bad and dangerous means. A decade ago, when those supporting a Balanced Budget Amendment began their effort to pass Con Con resolutions in State Legislatures, it seemed a useful educational device. It dramatized the urgency of our horrendous Federal fiscal problems. It made a "Statement" that the American people are very serious about our demand for a Balanced Budget Amendment. But now that our nation is only two states short of the actual call for a Con Con, it's time to stop dangerous bluffing about the Constitution and talk about risks and realities. If 34 states (2/3rds of the 50 states) pass resolutions calling for Con Con, the obligation to call one is mandatory on Congress. The roller-coaster ride will have started, and there will be no way to get off. 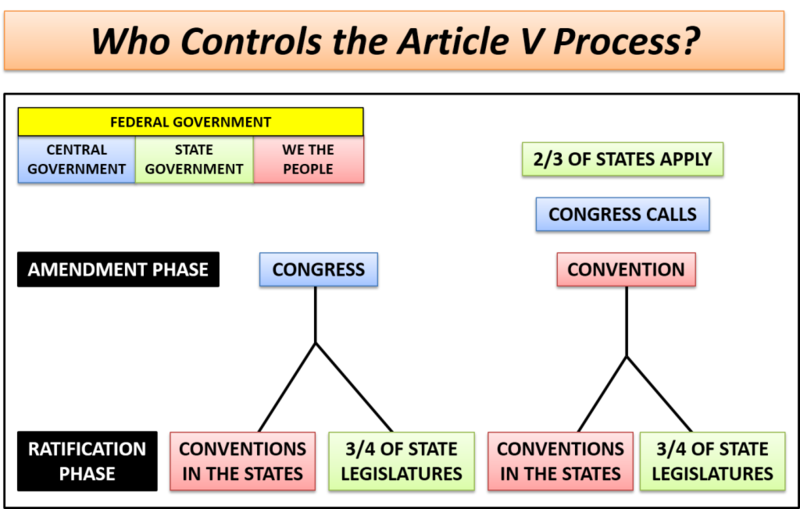 Article V of the U.S. Constitution provides two methods of amendment: "The Congress; whenever two-thirds of both Houses shall deem it necessary, shall propose amendments to this Constitution, or, on the application of the Legislatures of two-thirds of the several states, shall call a Convention for proposing amendments, which, in either case, shall be valid to all intents and purposes, as part of this Constitution, when ratified by the Legislatures of three-fourths of the several states, or by conventions in three-fourths thereof, as the one or the other mode of ratification may be reposed by the Congress." The 26 existing amendments to the Constitution were all adopted by the first of the two amendment procedures specified in Article V. The alternate method, a Constitutional Convention, has never been used. That doesn't make it wrong; but it should require us to evaluate the risks before plunging into a radically different method which could put our entire Constitution on the bargaining table to be torn apart by the media, political factions, and special-interest groups. With all due respect to Mrs. Spellerberg, she should check her facts before posting a column by Phyllis Schlafly about an Article V Convention and coming out in support of that article. The fact is the article in question contains several outright lies by Mrs. Schlafly and it behooves Mrs. Spellerberg even if she is a life long member of Eagle Forum to present the truth, not fabrication, regarding a convention. The most important lie to understand is that the states have submitted over 700 applications for an Article V Convention call, not the 32 referred to in the Schlafly article. Indeed the public record shows that this statement is a lie in that 36 states have applied for a convention call with language for a balanced budget amendment contained in it. The texts of the actual applications filed in the Congressional Record can be read at www.foavc.org. Congress has refused to obey the Constitution and call a convention as it required to do. 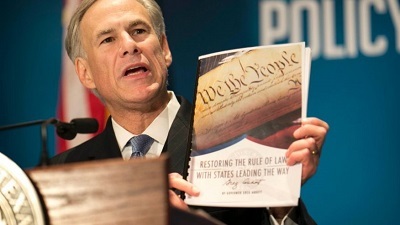 Mrs. Spellerberg by her posting of this article is basically asking that loyal Texans support the vetoing of the Constitution by allowing the government the right to ignore direct, specific language contained in that document and she is asking this based on false information and lies drummed up by Phyllis Schlafly. I would suggest anyone who wishes to seriously look at both sides before making up their minds should read these articles as well as going to the FOAVC website and reading the applications as well as the FAQ section of the site. You'll find all of the material in question is based on public record or other public information such as federal court rulings. If you really want to find out who is telling the truth, ask Mrs. Spellerberg who is a life long member of Eagle Forum to produce the public records backing up her position, not opinions, actual public records such as court rulings, factual information that proves the allegations made by Phyllis Schlafly. You'll find she will not be able to do so. Bill Walker says the states have submitted over 700 Con Con applications in the last 220 years. However, many of those old applications pertain to obsolete subjects such as child labor (which is now regulated by federal and state law) and the direct election of senators (which was settled by the 17th Amendment). When Phyllis wrote her 1984 article, supporters of a federal balanced budget amendment were claiming that 32 states had applications on file for a Con Con to propose that amendment, and we were only two states short of the actual call for a Con Con. Phyllis was not vouching for the number 32; she was reporting what Con Con supporters were claiming. There are many variations in the wording of those 32 state resolutions. We oppose calling a federal constitutional convention for a balanced budget or any other purpose, and we urge Texas to join the 14 other states that have rescinded all previous applications for a federal Con Con. Take a look at House Joint Resolution No. 123 by Representative Gary Elkins (R-Houston) during this current Regular Session of the 82nd Texas Legislature. Unintended Consequence of a BBA: The SCOTUS will Control Taxing and Spending!